Beautiful remodeled 1st floor corner unit convenient for parking and amenities. This unit will be sold FURNISHED, TURNKEY! This unit is very well maintained and offers a lot for the money This unit offers HURRICANES IMPACT windows thru-out, and features screened porch with roll down hurricane shutters with beautiful view of pool and garden. The kitchen and bathrooms have been remodeled with Granite counter tops newer appliances, cabinets and recessed lighting Ceramic floors threw out the unit. The unit has large walk in closets and extra storage that comes with condo 40 years certification done. Amenities included clubhouse, heated pool, shuffleboard & BBQ area. 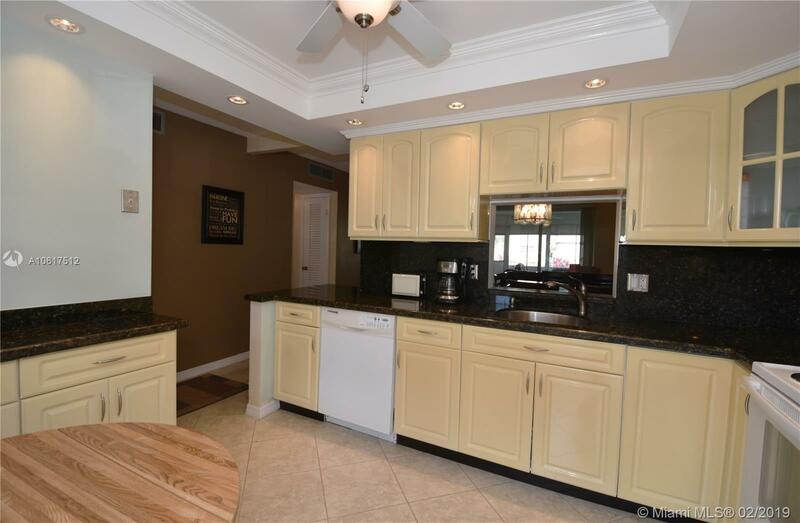 Walking distance to shops, entertainment and Gulfstream Horse Racing and Casino. One mile from the Beach!